- Once Upon a Time (5x02/s05e02) [+] [+] [+] [+] [+] [+] [abc]. - Blood & Oil (1x02/s01e02) [+] [+] [+] [+] [+] [+] [abc]. - Quantico (1x02/s01e02) [+] [+] [+] [+] [+] [+] [abc]. 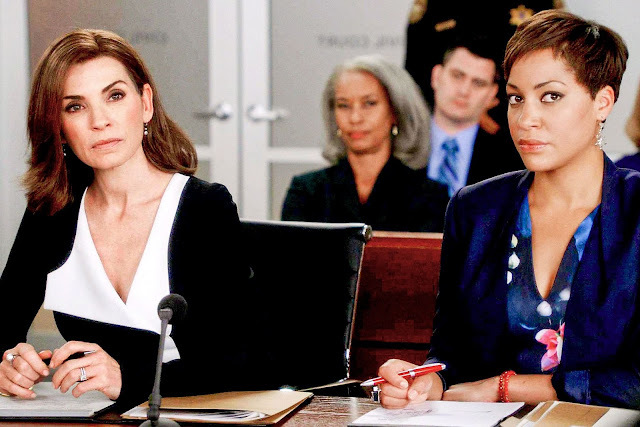 - The Good Wife (7x01/s07e01), Bond [+] [+] [+] [+] [+] [+] [CBS]. - Madam Secretary (2x01/s02e01) [+] [+] [+] [+] [+] [+] [CBS]. - CSI: Cyber (2x01/s02e01) [+] [+] [+] [+] [+] [+] [CBS]. - The Simpsons (27x02/s27e02) [+] [+] [+] [+] [+] [+] [FOX]. - Brooklyn Nine-Nine (3x02/s03e02) [+] [+] [+] [+] [+] [+] [FOX]. - Family Guy (14x02/s14e02) [+] [+] [+] [+] [+] [+] [FOX]. - The Last Man on Earth (2x02/s02e02) [+] [+] [+] [+] [+] [+] [FOX]. - Bob's Burgers (6x02/s06e02) [+] [+] [+] [+] [+] [FOX]. - Sunday Night Football: Dallas Cowboys at New Orleans Saints [NBC]. - The Affair (2x01/s02e01) [+] [+] [+] [+] [+] [+] [Showtime]. - Homeland (5x01/s05e01) [+] [+] [+] [+] [+] [+] [Showtime]. - The Leftovers (2x01/s02e01) [+] [+] [+] [+] [+] [+] [HBO]. - Doll and Em (2x04/s02e04) [+] [HBO] [Ya ha sido emitida en sky, pero se me olvidó ponerla]. - Project Greenlight (4x04/s04e04) [+] [HBO]. - The Strain (2x13/s02e13) [+] [+] [+] [FX]. - Rick and Morty (2x10/s02e10) [+] [+] [+] [Adult Swim]. - Anthony Bourdain: Parts Unknown (6x02/s06e02) [+] [+] [+] [+] [+] [+] [CNN]. - Million Dollar Listing: LA (8x05/s08e05) [+] [Bravo]. - The Pioneer Woman (11x09/s11e09) [+] [food network]. - Ghost Adventures (11x07/s11e07) [+] [+] [+] [travel CHANNEL]. - Alaska: The Last Frontier (5x01/s05e01) [+] [+] [+] [Discovery Channel]. - Ed Stafford Into The Unknown (1x06/s01e06) [+] [+] [Discovery Channel]. - Timeshift (15x04/s15e04) [+] [BBC Four]. - Downton Abbey (6x03/s06e03) [+] [+] [+] [itv]. - The Only Way Is Essex (16x01/s16e01) [+] [+] [itv2]. ¡Te sabes todas las canadienses! xD La apunto, que se me había pasado. Muchísimas gracias.